alaTest has collected and analyzed 16 reviews of Nextbase Incarcam 202 LITE. The average rating for this product is 4.4/5, compared to an average rating of 4.0/5 for other Camcorders for all reviews. Reviewers are impressed by the portability and image quality. The price and size also get good feedback, but some have doubts about the battery. We analyzed user and expert ratings, product age and more factors. 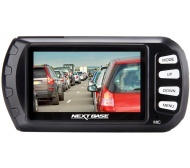 Compared to other Camcorders the Nextbase Incarcam 202 LITE is awarded an overall alaScore™ of 86/100 = Very good quality. Nextbase has produced some very high-scoring dash cams, so can the company's more affordable 202 Lite impress us with its image quality? Read our full review to discover how this budget Nextbase dash cam stacks up.